Besides just building sustainably with low-emission glass and shading devices to cool the home, there are many options to choose from when the time comes for fitting out a green home. A good example of intelligent green ventilation and cooling is PanaHome's PURETECH technology for improving air quality. PURETECH comprises of ECONAVI ventilation and air-conditioning system. The system automatically controls both natural and mechanical ventilation and keeps track of movements in the home, directing air to where it's need at any given time via its sensor technology. Self-cleaning tiles work through photocatalysis, a phenomenon found in nature. The tiles are coated in titanium dioxide. For instance, PanaHome's KIRATECH tiles have advanced hydrophilic and decomposition capabilities which enable them to self-clean when exposed to elements found in a typical outdoor environment. These elements, both organic and inorganic, are broken down into molecules which can be easily dissolved with a rinse of water or when it rains. This limits the use of aggressive, polluting detergents and solvents. The ability to break down common air pollutants, such as carbon monoxide found in cigarette smoke and car exhaust fumes; grease; dirt and bacteria also reduces maintenance cost. 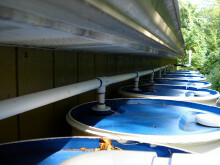 A technologically advanced green house requires energy to keep all the systems working smoothly. Solar panels are a sustainable energy source for obtaining electricity to power a home, and help save on costs in the long run. This, combined with a compact lithium battery storage system, can potentially provide a household with all its electricity needs. 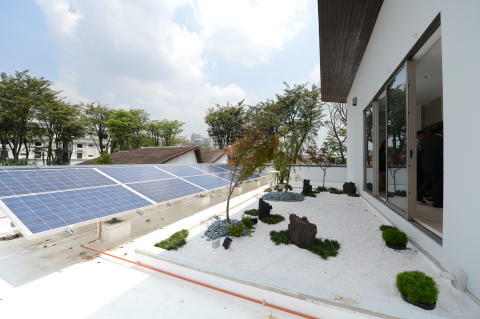 Malaysian homeowners can also make use of the feed-in-tarrif (FIT) programme, which allows homeowners to sell the electricity the solar panels on their homes produce. Put in place and guaranteed by the Malaysian government, the programme encourages homeowners to install Photovoltaic (PV) panels on the roofs of their homes and is a significant effort by the country in moving towards a greener future. Consider the use of environmentally friendly fittings such as recycled tile flooring, which reduces the use of lumber and does not contribute to further landfill waste. Bamboo is also a popular material used in many green homes as a replacement for wood. Using energy-efficient home appliances such as refrigerators and low-energy lightbulbs or LED lighting can also significantly contribute to reducing energy wastage. 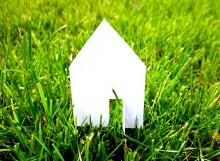 There are many options from homeowners to choose from when embarking on an eco-friendly building project. By making use of technology available today together with good green living habits, modern homes can be as beautiful as they are environmentally friendly.